This weekend I went to the great State Fair of Texas! My friends were in heaven- it was game day, there were people to see and delicious fried food to eat! We came down for the Red River Rivalry, this was my fourth year to attend this weekend-long event. Normally its hotter than blazes but this year a chilly rainstorm cooled Dallas down, almost too much! I wasn’t prepared for the low temperature but luckily my outfit was comfy. This year I wore things I already owned and didn’t cave in to the wonderland that is Dallas shopping. I layered a floral chiffon dress under a cream crochet dress and added a delicate fringe gold necklace and twisted hoop earrings. It surprised me that my black boots looked better than brown, but it added a little edge to the outfit. 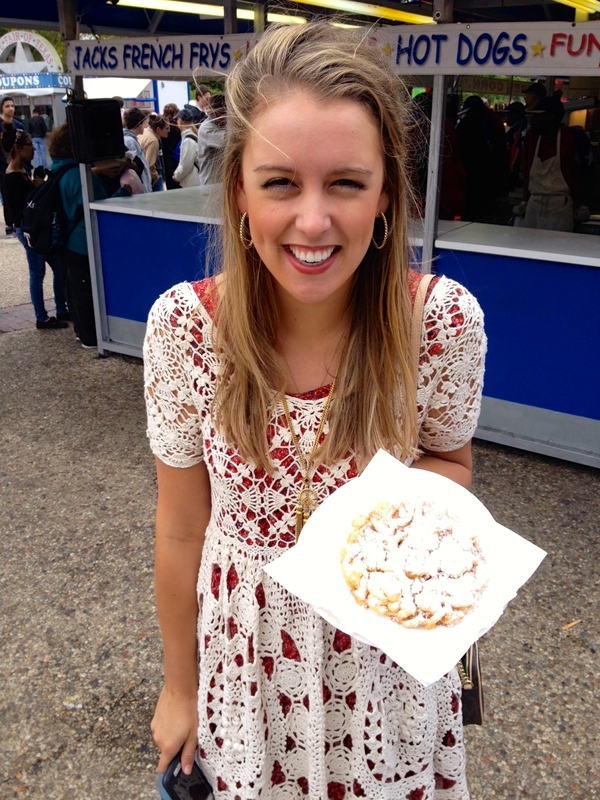 A borrowed purse (and funnel cake!) completed the outfit. I love this look, so perfect for the State Fair! Hope you ate some great food! Why thank you! 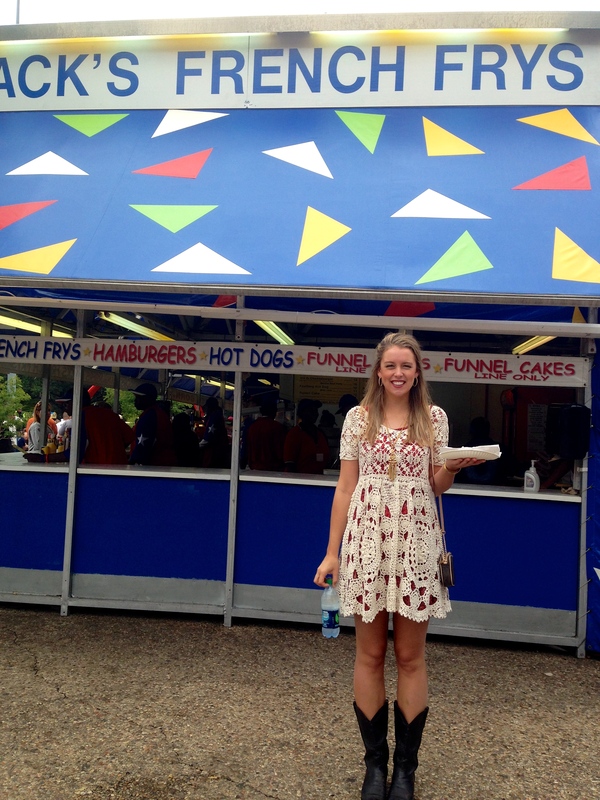 And yes of course- a corn dog for breakfast and a funnel cake for lunch… Does it get any better?